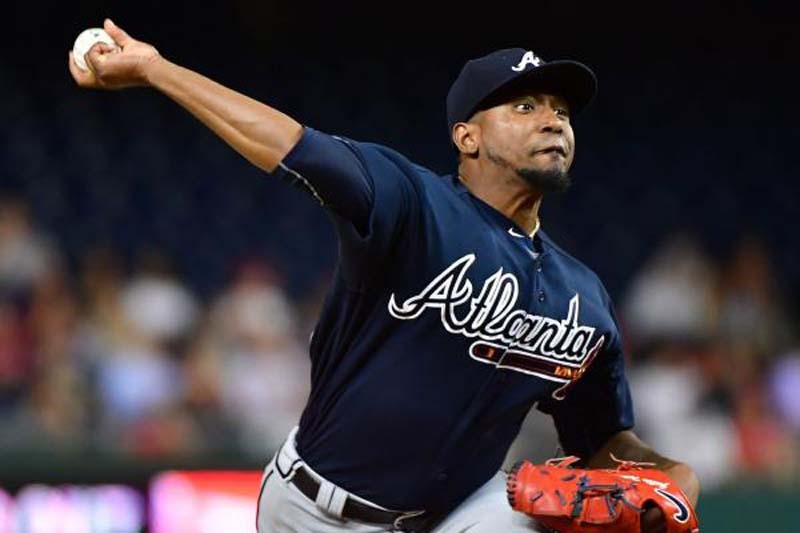 The Atlanta Braves are hopeful that Julio Teheran will be their next starting pitcher to get his season back on track. The Braves will send the veteran right-hander back to the mound on Monday whey they start a three-game series against the Miami Marlins. The clubs split a two-game set last week in Miami. Sean Newcomb, who had struggled in his last start for the Braves, came within one out of throwing a no-hitter on Sunday against the Los Angeles Dodgers as Atlanta averted a four-game sweep. Teheran (7-7, 4.42 ERA) will be opposed by Miami left-hander Wei-Yin Chen (3-7, 5.65) in a rematch of last Tuesday's game that the Marlins won 9-3. [post_ads]Teheran has been frustratingly inconsistent for the Braves, who are trying to decide whether to keep their most experienced home-grown player or use him as trade bait before the Tuesday's deadline. The Colombian made two good starts before the All-Star Game, allowing only one run in a combined 13 innings against Toronto and Arizona. He pitched into the seventh inning in both games. But he was battered by the Marlins in his first start after the break. He allowed nine runs (seven earned), seven hits and two walks and struck out only three. "I need to find a way," Teheran said. "You have one start that is good or two in a row. But consistency has been the problem. I'm not going to get that in my mind and get crazy or get frustrated. It's a game. We'll try to do our best to be the best." Braves manager Brian Snitker said, "He just wasn't real sharp and could never get anything going. He looks healthy. His velocity is fine. His stuff in spurts is really good." Chen has had inconsistency issues, too, but may have turned the corner in his last two starts. He gave up just one run in six innings in a loss to Philadelphia and beat the Braves on July 24, permitting three runs in six innings. It was a tremendous improvement over his July 7 start against Washington. That night, he allowed seven runs in 4 1/3 innings. It was the third time this season he had allowed seven or more runs. Chen, who also had a double against Teheran in their last meeting, was pleased but said, "I wish I could have pitched a little bit better than I did." Atlanta made a pitching move before Tuesday's trade deadline. The Braves acquired reliever Brad Brach from Baltimore in exchange for $250,000 international signing bonus slot money. Brach will be a free agent at the end of the season. The right-hander is 1-2 with a 4.85 ERA. He has made 42 appearances covering 39 innings and struck out 38 batters. He was an All-Star two years ago when he pitched in 71 games and had a 2.05 ERA. Brach gives the Braves an option as a right-handed closer, with A.J. Minter likely to hold the role when a left-hander is required. Right-hander Dan Winkler has struggled when given an opportunity to finish. The closer's job came open when veteran Arodys Vizcaino was placed on the disabled list for the second time this season with right shoulder soreness. The acquisition may indicate that the Braves are serious about trying to make a playoff run. Atlanta is currently 1 1/2 games behind Philadelphia in the National League East and one game out in the wild-card race. Miami followed up its series with the Braves by splittling a four-game series with the Washington Nationals, Jose Urena and three relievers combined on a three-hitter in a 5-0 win on Sunday. While the Marlins are 46-61 and in fourth place, they are 7- 4 in their last 11 games.